WILL WE ALWAYS HAVE WAR? 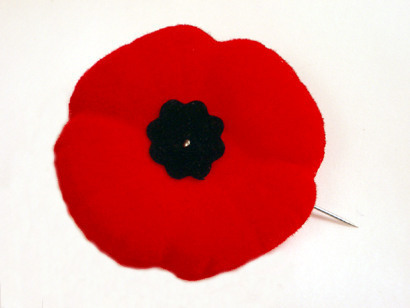 November 11th is Remembrance Day in my home country of Canada, a day to remember all of those soldiers wounded or killed in conflicts since our nation began, and those in uniform who guard her still today, in the hope that remembering is the first step toward eventually eliminating war. Coincidentally, this week I was also reading The Forever War by Joe Haldeman, originally written in the 1970’s after the author had served in the Vietnam War. The book won the Hugo, Locus, and Nebula awards in 1976 plus a number of others, so you can still find it in print and it’s very much worth a read. Without giving too much away, the novel describes an interstellar war with an alien race that lasts more than a thousand years, and it made me wonder if we truly will still have war millennia from now. 1) There are large inequities between groups of people. 2) We enable and reinforce ways to define ourselves as “us” and “them”, allowing us to think of “others” as “the enemy” instead of just people. 3) We can convince ourselves that killing and dying is preferable to communicating and compromising. 4) War is an economic tool. 5) There are people who can order others to be sacrificed at no cost to themselves. It’s impossible to ignore the fact that technological progress related to combat is all about more powerful weapons and defenses, and not at all about trying to end war (except in the sense of winning faster by gaining an advantage). What would peace-fostering progress be like? It seems to me that the best way to reduce inequality around the world is some form of world government. Not to replace current national and regional governments (at least not right away), but to tackle big picture issues fairly, address the problems that truly do affect all of us on this planet, and to be the final arbiter of regional disputes. And we’d better hurry this along, because climate change is going to create some horrendous refugee crises and border conflicts within the next few decades if we aren’t proactive and very, very cooperative. We’ve got more ways than ever before to learn about others who share our world, and communicate in spite of barriers of distance, language, or culture. We need to continue to encourage pan-global socializing, partnering, and trade. We’re a lot less likely to want to go to war with a place where we have business partners and friends. War as an economic driver? Surely there are other large-scale projects we can all get aboard that demand a similar mobilization of resources. The conquest of space is an obvious favourite of mine, but harnessing the energy of sun, wind, tide and other natural forces to replace fossil fuels would also be a win for everyone (but the oil companies). I’m sure there are lots of other worthy international pursuits that don’t involve killing and dying. And how many wars do you think would be declared if there were a global law that any leader who sends troops to die must also sacrifice themselves—under a death sentence, not commutable, to be executed immediately following the death of the first soldier or civilian? I think that just might cool the bloodlust in a big hurry.